Old School Flashback With Late Wishes For A Happy Born Day To Chuck D! | BlackRadioIsBack.com - Official Blog of the Syndicated FuseBox Radio Broadcast! 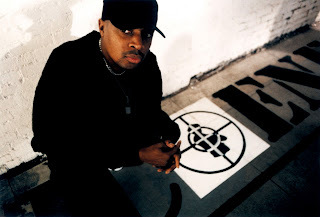 Old School Flashback With Late Wishes For A Happy Born Day To Chuck D! Chuck D, the founder and 1/2 of the MCs in the greatest conscious/message Hip-Hop crew of all time. Public Enemy, (yeah, I said it - after about 20+ years, other MCs in that realm still haven't been able to make an album anywhere near as great musically as Fear of a Black Planet and It Takes A Nation of Millions To Hold Us Back) is now 48 years old since this past Friday. Here are five of our favorite music and interview videos with Chuck D that folks over here at BlackRadioIsBack.com and the syndicated FuseBox Radio Broadcast pulled out to commemorate the celebration - hope you all enjoy!